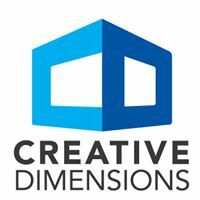 Creative Dimensions is a full-service advertising agency that specializes in strategic planning, advertising, design and branding, digital marketing, and media planning and buying. The company was founded in 1972 by a local advertising legend, Arnold Barnett. 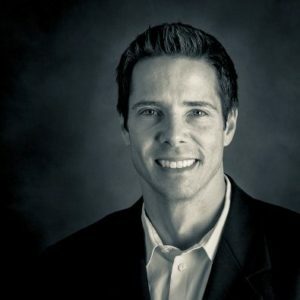 Steve Schaeffer purchased the agency in 2012. He has a background in copywriting and broadcast production, and has worked in the Cincinnati advertising market for the past 25 years. Q: What trends do you see having an impact on the marketing industry in the near future? A: “Cord cutters”—people switching away from traditional television in favor of internet-driven TV—are growing in number each day. For broadcast advertisers who don’t adjust to this trend and incorporate streaming commercials into their marketing plans, it means losing an opportunity to build brand awareness with an entire generation of increasingly connected consumers. Smart TVs and over-the-top (OTT) devices like Rokus are serving as the new disruptive technology that is driving a massive industry shift. Q: What marketing advice would you give to a business that is just starting out and has a limited budget? marketing, the first thing I would recommend is developing a good website with good content. Once that is up and running, paid Google ads (Search Engine Marketing) can be very effective in driving prospective customers to your site, and you can set manageable limits in how much you would like to spend. Q: What is the marketing campaign that you are most proud of? us that the “Lego” commercial is the best spot they’ve had produced in their 40-year history. As a result, the campaign has increased sales for Gilkey, which is obviously the most important reason we are proud of this work. A: First, the staff at OfficeKey couldn’t be nicer. They are always professional, helpful and flexible, besides that, being able to work and host meetings at multiple locations has also proven to be a great convenience. A: Being a mind reader would be nice (after all, I live with three women). Q: What is the best vacation you ever took or the place you haven’t been that you would most like to go to? A: My wife and I try to take vacations alone every couple of years, and some memorable trips were to Aruba, Italy and England. We would like to visit Ireland as well. Our favorite place to vacation as a family is Sanibel Island in Florida. We go there every other Spring break, and it’s always a wonderful trip. A: I have a couple of favorite movies, Goodfellas and Shawshank Redemption, and if I’m channel-surfing and one of them is on, I stop every time. Visit Creative Dimensions online. Connect with Steve on Linkedin.